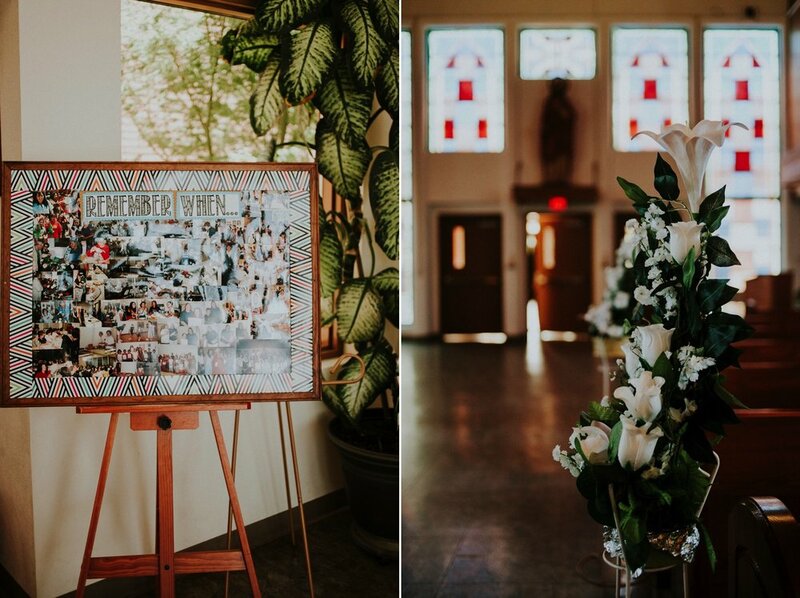 Diana and Shawn’s Casa Rondena Winery wedding was absolutely S-T-U-N-N-I-N-G. 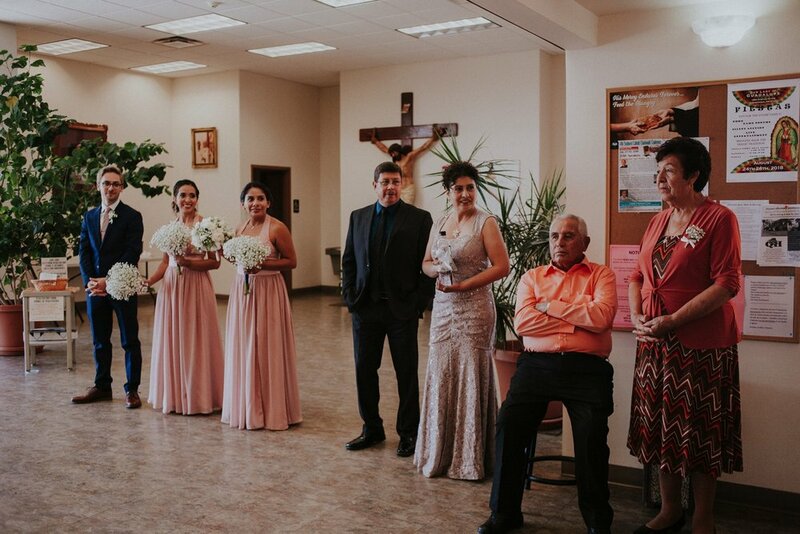 It was a beautiful day in Albuquerque, New Mexico for a wedding. We were beyond blessed with perfect warm weather and sunshine which added to the amazingness that was the Cosner wedding. Diana + Shawn met in Charlotte, NC when Diana moved there for work. Shawn became her first friend in Charlotte. They ended up being next door neighbors (shared a wall). Diana and Shawn say fate brought them together. Shortly after that, the two became inseparable. They officially began dating 6 months later. They have through thick and thin together. They respect and love each other. He's her Shawn'ory and she is his Dian’ory. 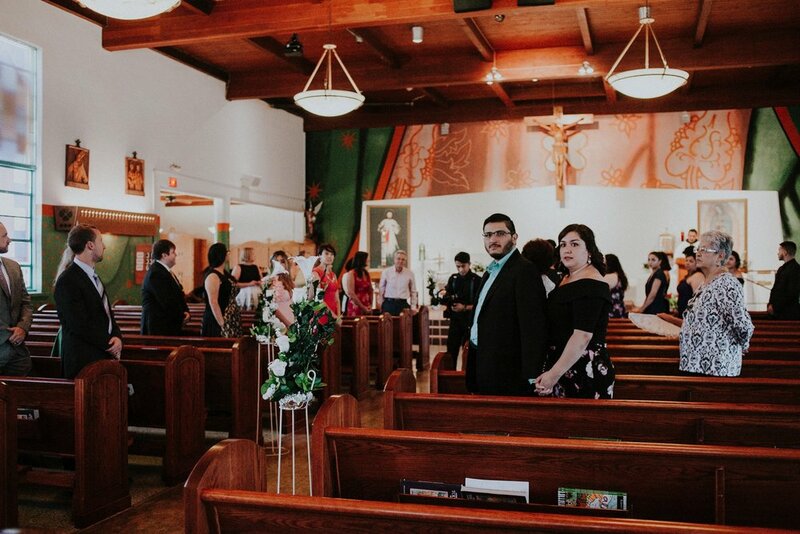 The wedding was held at Our Lady of Guadalupe in Albuquerque, New Mexico. 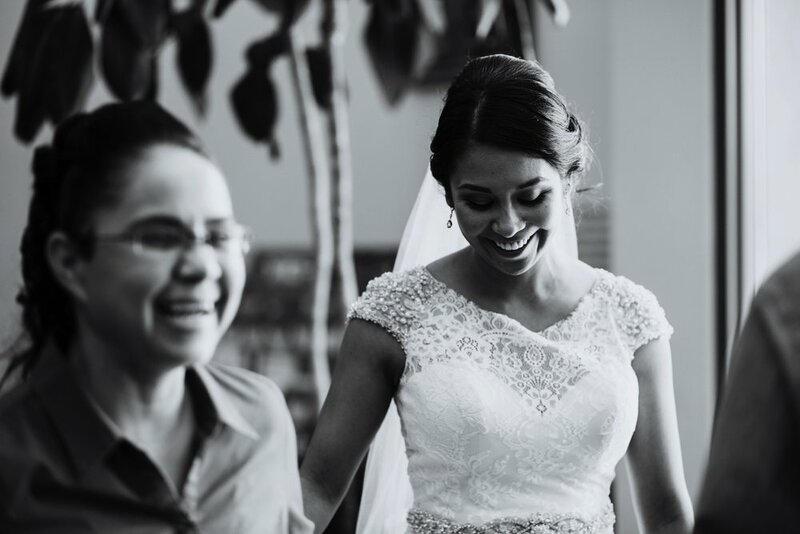 They chose to start their forever in her family’s church. They had a blessing of coins and a wedding rope (lasso) as well as their wedding bands. They also gave a gift of roses to the Virgin Mary. 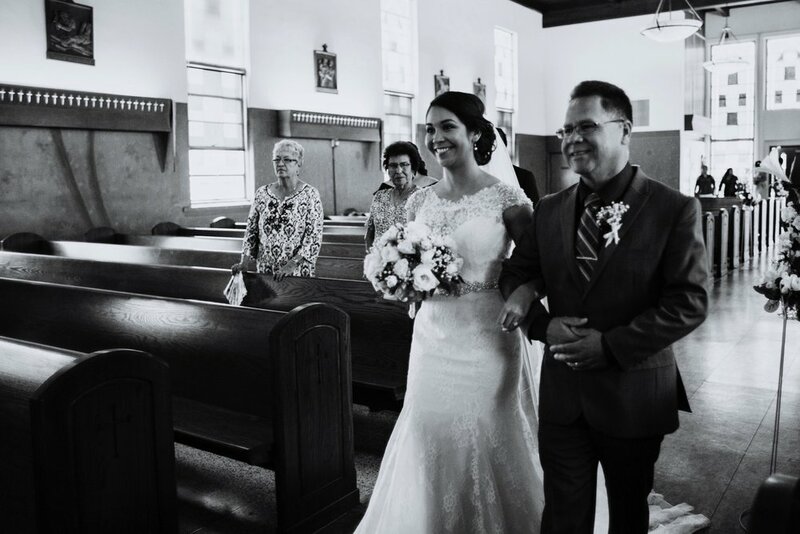 At the end of their beautiful Catholic ceremony, their guests blew bubbles as they walked out of the church for their grand exit as husband and wife and into the party bus headed to Casa Rondena Winery. Diana and Shawn also had Orange September an event company as their day of coordinators which was another blessing all in itself. If you’ve ever had the privilege of meeting Vicki and Jerry as well as working beside them, you know how truly extraordinary they really are. 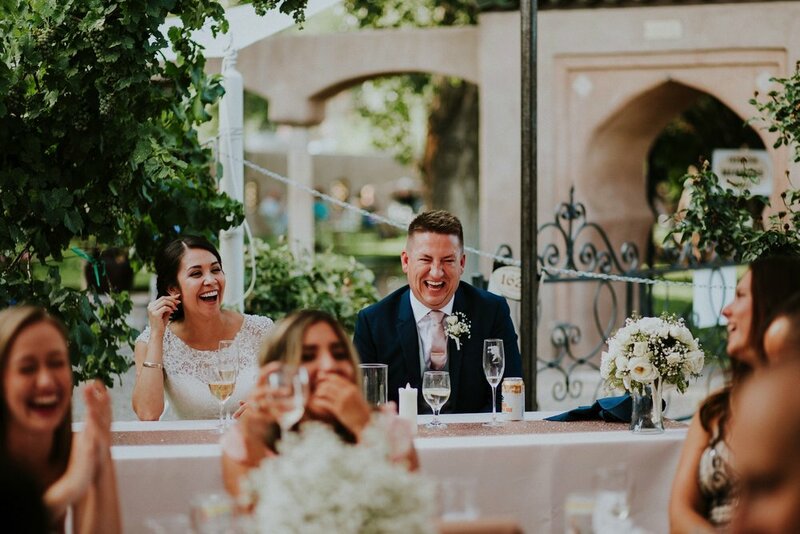 Their attention to detail, harmonious teamwork, and impeccable TLC they have for every single couple as well as guests are just a couple of things that makes Orange September an event company truly so special and so, SO wonderful. I was thrilled to work alongside them for the Cosner wedding and it truly was a spectacular day. Their decor was elegant with the most amazing subtle hints of Star Wars (Shawn’s favorite). The party was absolutely epic! 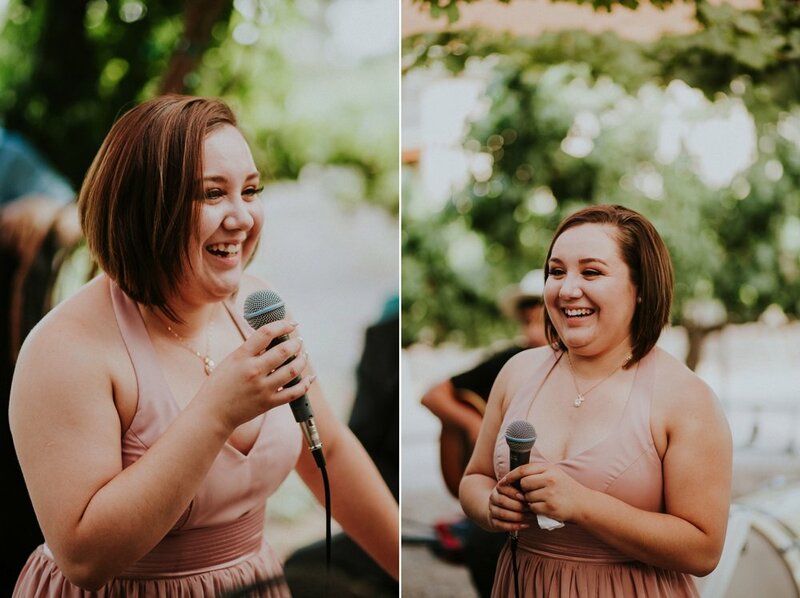 The speeches were heartfelt, the dancing was outstanding, and from start to finish, it was a truly gorgeous day. 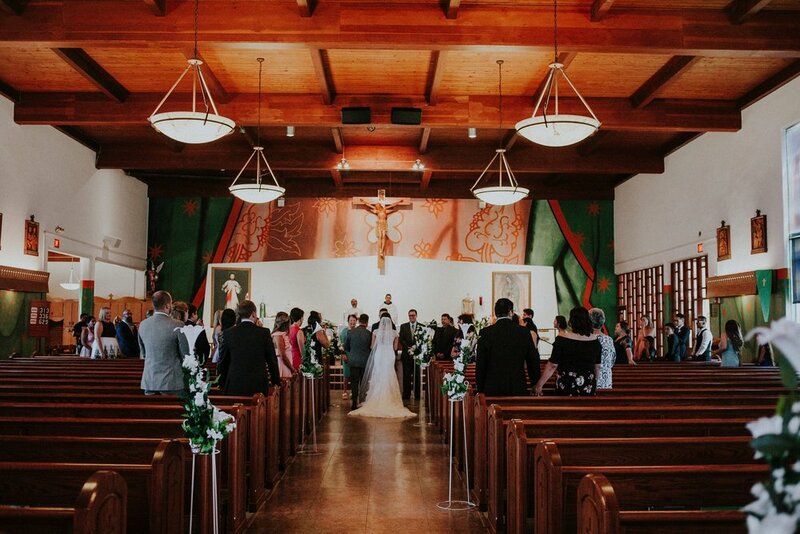 Weddings at Casa Rondena Winery are ALWAYS remarkable and the Cosner wedding was nothing short of magnificent. Jasper K Photography, Albuquerque Wedding Photographer.